This book is about Surpanakha, also called Lanka’s princess. Surpanakha means hard as nails. She is the sister of Ravan. Ravan is an asura and the villain of the great epic the Ramayana. The first opinion that forms in your head, if you have read the Ramayana, is that Surpanakha is an evil shape-shifting monster. She had tried to kill Sita, but had her nose and ears sliced of by Lakshmana, brother of Ram. If you are hearing about the Ramayana for the first time, then after reading this, you too would have formed a bad opinion about her. 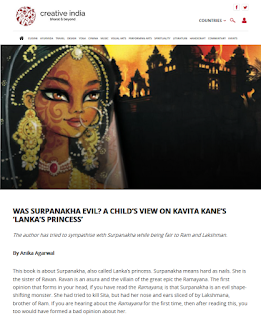 Now, the question is, was Surpanakha evil? Or was it because of some event or tragedy she turned evil. Let’s find out. Born to Vishravas and Kaikesi she was named Meenakshi that meant the one with beautiful fish-shaped eyes. Meenakshi always felt unloved and hated in her family. No one other than Kumbha paid her any attention. Both her mother and father had favourites. Her mother loved Ravana and her father Vibhishana. Meenakshi loved her father and was very devoted to him but her father never saw that. He was too busy praising Vibhishana. Thus, Meenakshi was often scorned by her mother and Ravana. Then one day, after a fight with Ravana, he called her a hateful name, “Surpanakha”, because she had inflicted maximum damage to him with her sharp nails. After that day, the name stuck and she was mostly called Surpanakha. Meenakshi soon grew up from an ugly, shabby girl to a beautiful woman. Then, at Ravana’s marriage, she found her love. His name was Vidyujiva, also known as the Kalkeya king and Ravana’s enemy. How did Surpanakha marry Vidyujiva against Ravana’s choice? What did Surpanakha do when she heard about her husband’s cold-blooded murder? What happened to her after Vidyujiva’s death? So far, this has been the summary of the book. Now these are my views on the book. 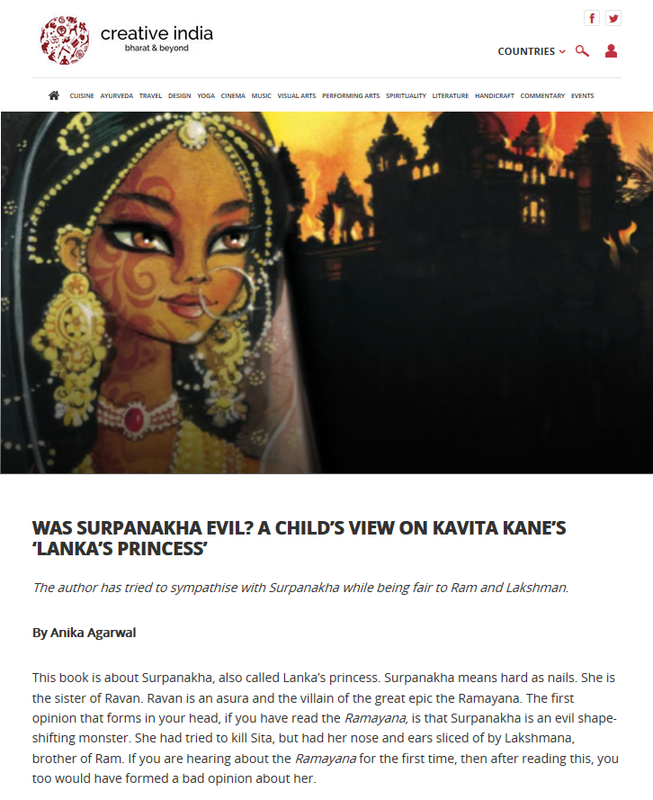 The author, Kavita Kane, has tried to sympathise with Surpanakha while being fair to Ram and Lakshman. She has succeeded in doing so. 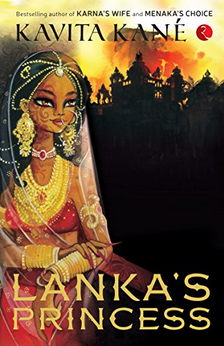 I, as a kid, think the book could have done well without the overwhelming romance between Surpanakha and Vidyujiva. Others might find this important or interesting, but I didn’t care much. In the book, Kavita Kane describes the small and trivial, yet important events in Surpanakha’s life that has not been written in the different versions of the Ramayana. She has described most of the story from Surpanakha’s eyes, concentrating on her emotions. It has been a nice experience reading this book. This review first appeared in Creative India mag.